Gabriela flew in for surgery from abroad having consulted me over Skype. Skype consults for overseas patients are possible but are no substitution for meeting in person and physically examining to confirm the planned surgery. We provisionally book surgery on the condition that this is confirmed by meeting in person the day before. 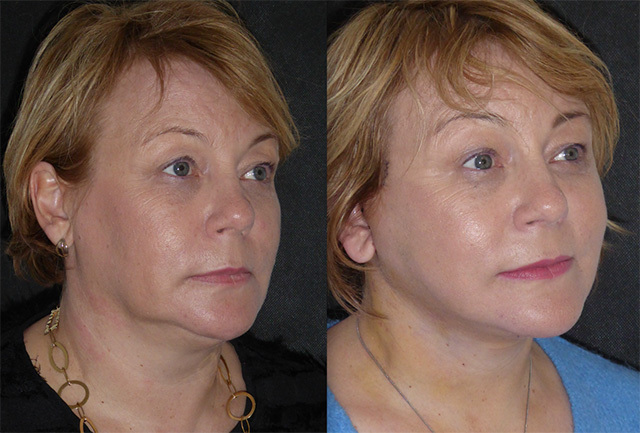 Gabriella was looking to rejuvenate her appearance, the main issues that she wanted addressing were the lower facial third and neck. 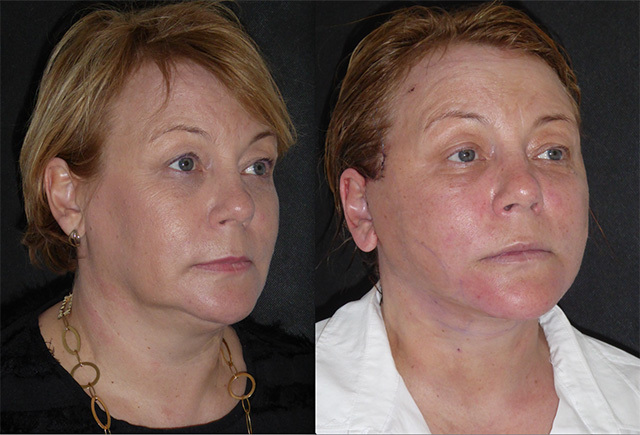 From carefully positioned emailed photography and Skype consultation followed by in person consultation the day before we planned to perform a face and neck lift with platysmaplasty and jawline / neck liposculpture. Here is Gabriela’s journey. Gabriela did brilliantly yesterday despite creeping blood pressure. 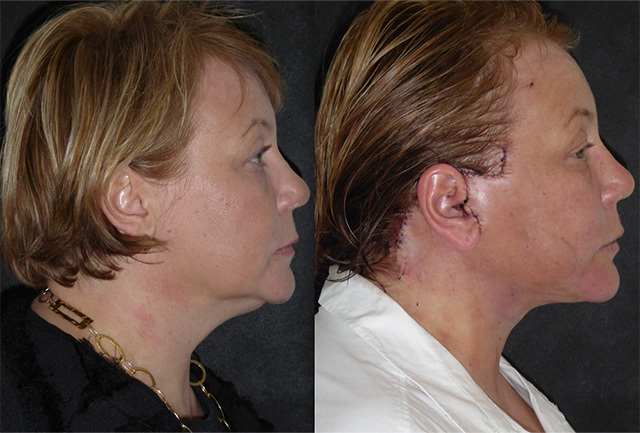 I did quite a lot of liposculpture and contouring to get the best result possible resulting in almost 5 hours of surgery. Despite the time, the beauty of sedation is that Gabriela breezed through. The morning after she is remarkably unbruised and showing signs of a lovely early result. A short week later and Gabriela is back for removal of her stitches. She really has done brilliantly over the week and is recovering very quickly. 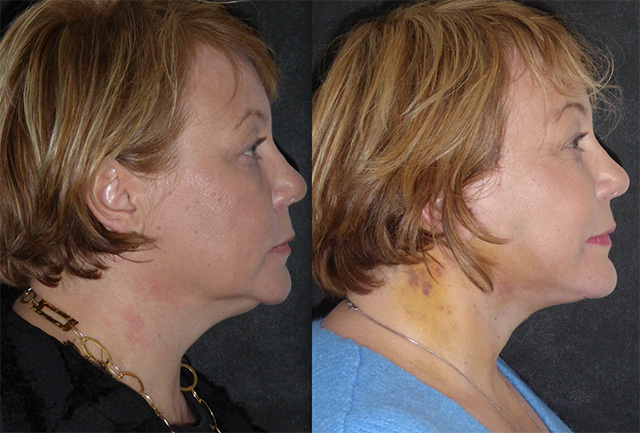 A beautiful jaw and neck line is coming through as the swelling settles and her bruising is minimal. She flies back home tomorrow refreshed, rejuvenated and beautiful. 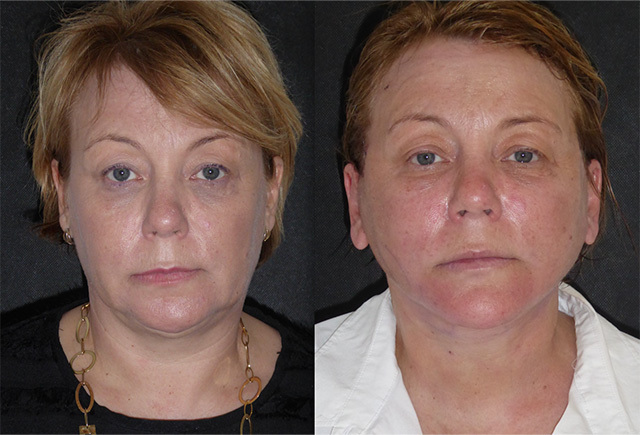 I am definitely going to write that article on the sartorial effect of facelifting. 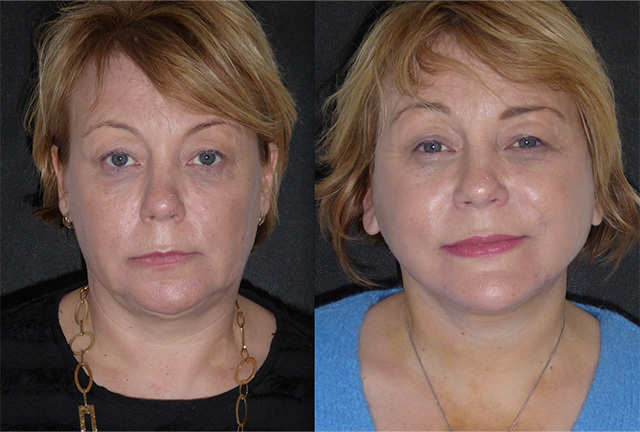 In so many of my before and after photos, clothing choice changes from sombre to colourful which beautifully reflects how my patients feel internally after external appearance tweaking!